Want to cut to the chase? Download our checklist on how to write blog posts for scanners. Why is writing scannable blog posts important? You may write your blog posts in the hopes that people read every word, sentence, and joke. But in reality, that’s just not how people read content on the web. In fact, research by the Nielson Norman Group shows that when people read online, they don’t read text from left to right. Instead, they skim it to get the gist of it. Now, before you get depressed about the fact that most people won’t read the words you spend so much time crafting, consider this: You can still get people to pay attention to the content of your blog posts. You just need to take a different approach to formatting them. What’s the secret? Writing scannable blog posts, blog posts that people can easily extract info from just by scanning. Data shows that scannable content boosts readability by 57%. So if you want to get the upper hand on your competitors with your content (and you should because there’s a heck of a lot of content out there already), focus on writing scannable blog posts. What’s one of the biggest things that will scare off a scanner? A colossal chunk of text. Large, dense paragraphs are intimidating, so readers tend to peace out when they see them. That’s why a key step of writing scannable blog posts is to keep your paragraphs short – no more than four or five lines long. Short paragraphs seem more manageable to readers and are easier to scan. You can even use single-sentence paragraphs to emphasize a key point or call-to-action that needs to stand out. 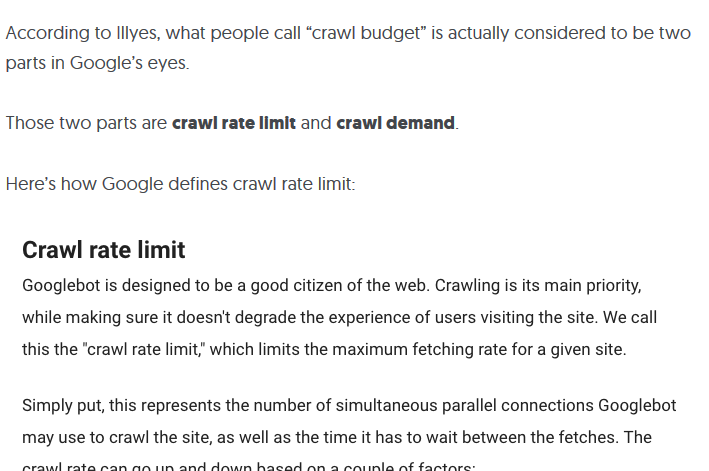 Example: Check out how Melyssa Griffin kept the paragraphs in her blog post short to make her content accessible. Once you’ve got your content separated into short paragraphs, you’ll want to add subheadings. Adding subheadings for each section of paragraphs helps readers navigate your blog post. And if you craft them well, they can also let readers get the gist of your post even if they don’t read anything else. 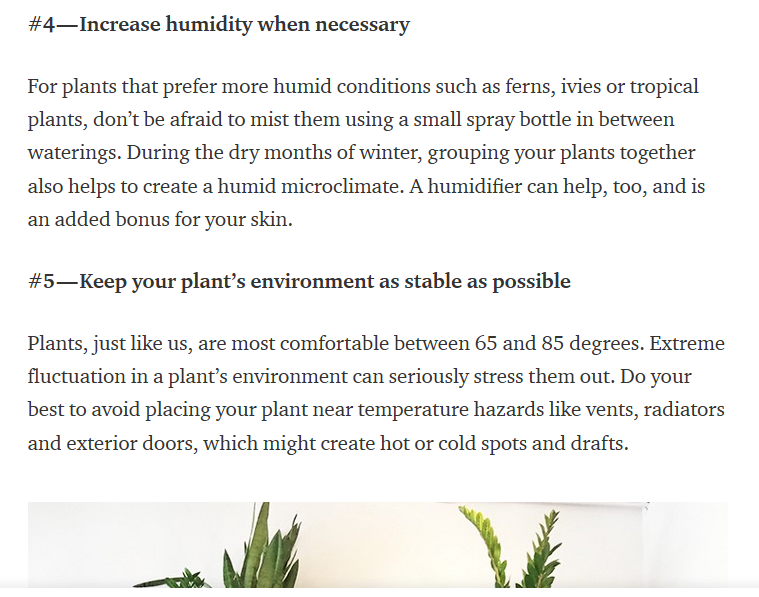 Example: This screen shot from a Hello Alfred blog post shows how the brand used subheadings in this blog post to divide text into different sections. Writing scannable blog posts isn’t just about creating short paragraphs. It’s also about keeping the sentences in these paragraphs short. A longer sentence is okay every once in a while. But even highly skilled and educated readers don’t want to wade their way through dense sentences. Make your sentences accessible for a wide range of reading levels by keeping them short. 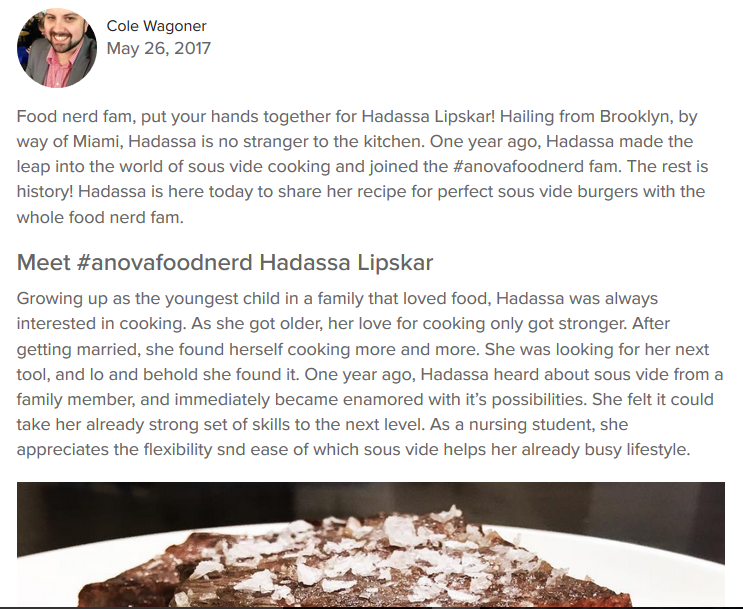 Example: Check out how ANOVA filled this blog post with short, easy-to-read sentences (although that second paragraph is a tad long). What’s a great way to write scannable blog posts by making your sentences short? Use simple language. Many people default to formal academic prose when they write. But blog posts are meant to be more casual and accessible than academic journal articles, even when they’re written on technical topics like dental equipment or computer programming. 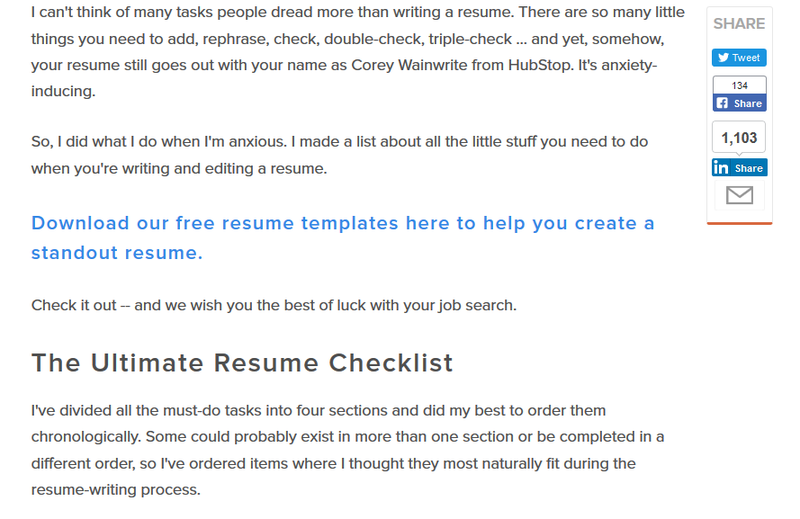 Example: See how HubSpot keeps things simple with the language they use in their blog posts. Does your blog post contain a paragraph that lists items, key points, or steps? A great strategy for writing scannable blog posts is to transform this paragraph into a bullet-point or numbered list. Using bullet points and numbered lists breaks up the sea of paragraphs in a long post (and even in a short one). It also makes the info in the bullet-point or numbered list stand out (which is always a plus). Example: See how CoSchedule used a bullet-point list to highlight key points in this blog post. Another alternative to presenting information in paragraph form is to create a graph, infographic, or table. These visuals are usually easier to process than paragraphs, especially if they contain multiple numbers or other pieces of data. Using them also reduces your overall amount of text. That’s why they’re great for writing scannable blog posts. 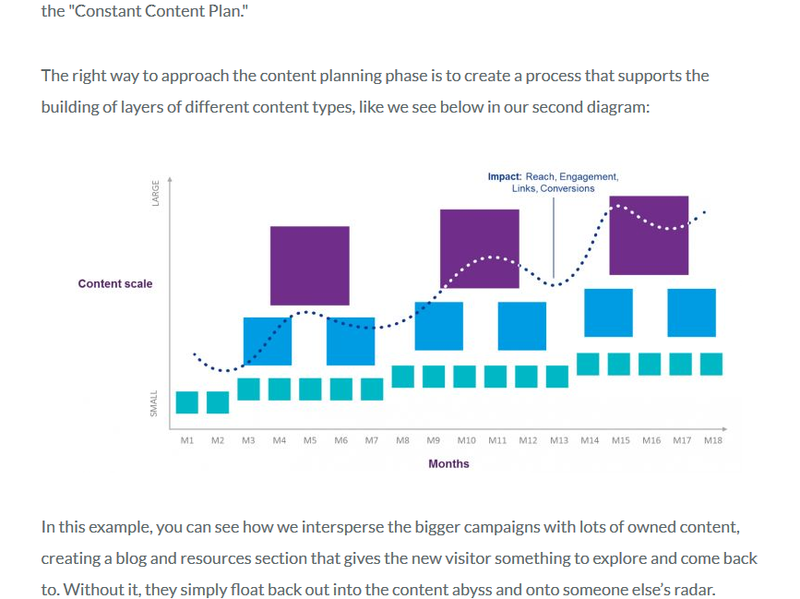 Example: Check out how a Moz blogger used a figure to illustrate a key concept in this blog post. Even if you don’t have data or information to present in a table or figure, there’s still a way to break up paragraphs in a blog post with visuals: add images. Images may not be essential to your blog post, but including them is a great way to add some attractive eye candy to your posts while separating chunks of text. 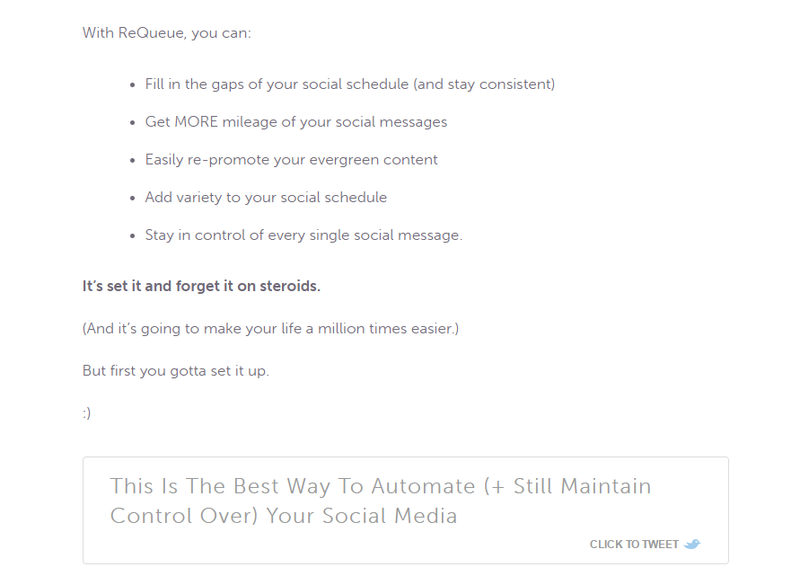 Example: Look at how QuickSprout integrated relevant images to break up the text in this post. Writing scannable blog posts doesn’t just involve being thoughtful about the content that’s on a page. You also want to think about the space around it – the “white space.” Your post may contain short paragraphs with numbered lists and graphs to break up the text. But if your paragraphs and visuals are jam packed together on a page with little space between them, your readers may not even try to skim through them. Make your blog posts more approachable and easier to read by making sure you have enough white space around each paragraph and visual. 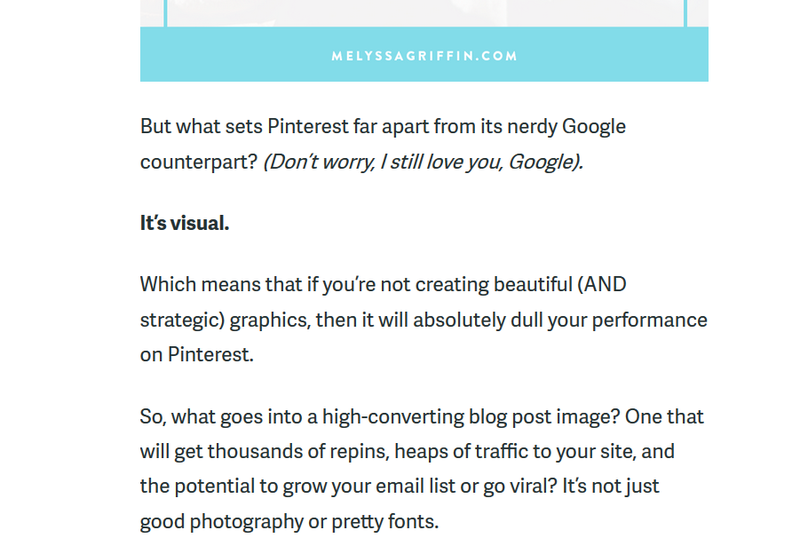 Example: OPI left room for lots of white space in this blog post. When you’re writing scannable blog posts, there’s a way to draw attention to select words or phrases: you can use bold or italics. This tactic works well when you want to increase the likelihood that scanners will see an important term or sentence in your post (e.g., a key point or a call-to-action). Just be sure that you don’t bold or italicize too many words. Otherwise, text in bold or italics won’t stand out. 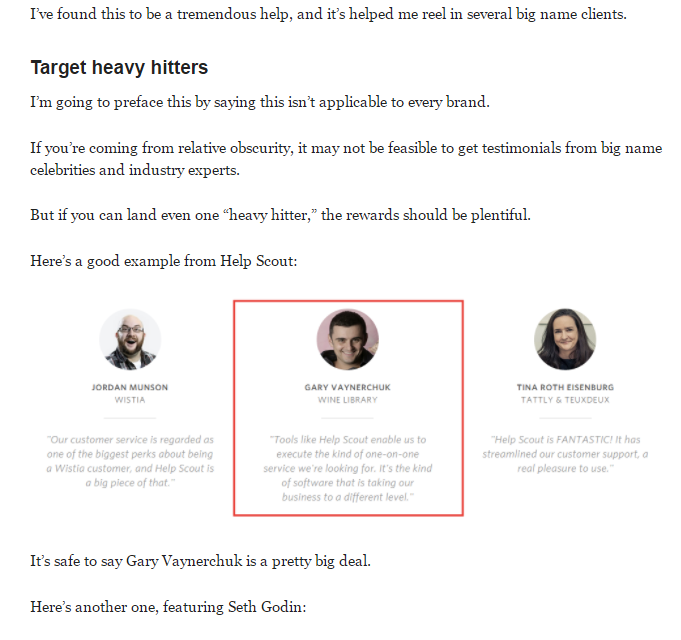 Example: Look at how Neil Patel used bold text to make two key terms in this blog post stand out. When you’re writing a comprehensive blog post, it can be tempting to pack in lots of facts, stats, and tips. But when you’re writing scannable blog posts, it’s important to remember that most people aren’t going to read all of this info anyway. That’s why it’s helpful to include external links as a way to direct people to additional information. Links let you focus on including the content that’s most relevant to your post while building credibility by linking to other high-quality sites. Hyperlinked text also stands out, so it can be a great way to draw attention to key pieces of information people may want to learn more about. 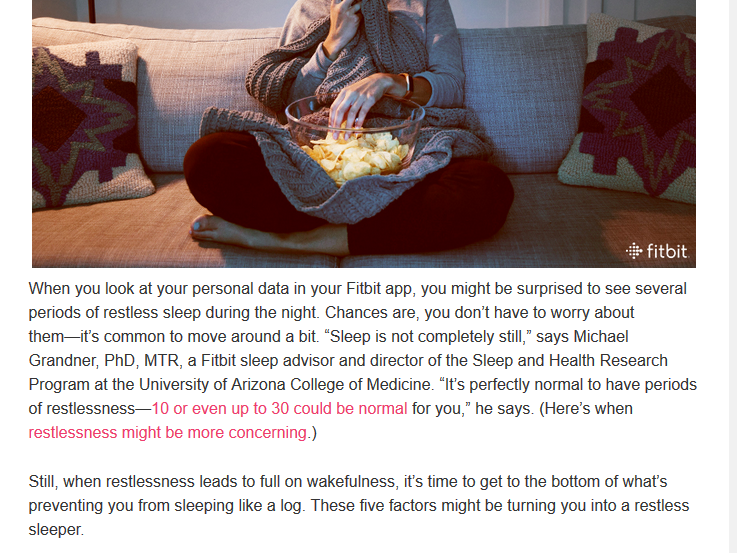 Example: See how Fitbit used external links in this blog post to direct readers to supporting evidence for key points. Writing scannable blog posts doesn’t mean changing what you write about. It simply means formatting the information in your post in a different way, a way that’s a win-win for you and your readers. When your blog posts are scannable, your readers are more likely to pick up on and process key points from your post. And you’re more likely to boost your page views, grow your subscribers, and build your tribe. Who can say “no” to that? Spend less time writing scannable blog posts while getting more eyeballs on your content. 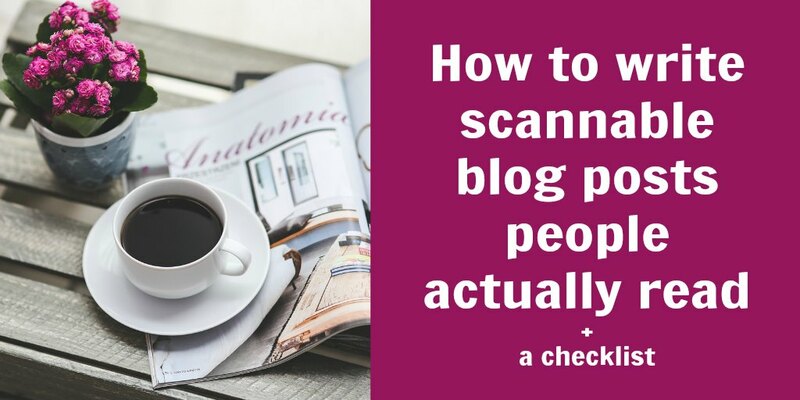 Download our checklist on how to write blog posts for scanners. ← “Bring” vs. “take”: What’s the difference?